Kingery & Associates is a proactive, progressive small business focusing on job placement in the Nashville, Tennessee, market since 2005. Our energized, results-driven corporate recruiters know how to market, and generally exceed the expectations of our clientele. We have more than 15 years of experience recruiting in a range of industries, including healthcare, small business, finance, insurance, legal, commercial real estate, and startups. 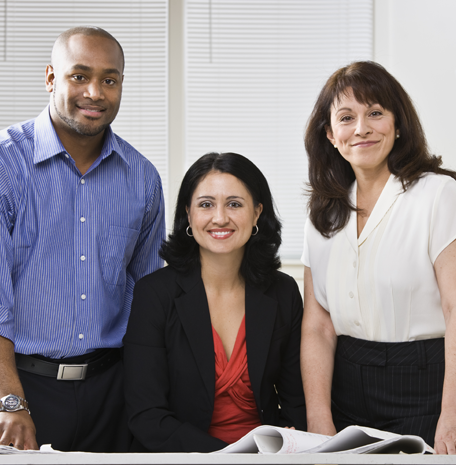 Our team is made up of career counselors, advisors, and coaches that work with both our candidates and our clients. We work hard to ensure that no one is misled, and we never waste time. Our fact finders research client companies, jobs, and cultures to ensure that our candidates match on more than just skill and qualifications. We also strive to save time for everyone, working efficiently and effectively to wade through the hundreds of unqualified candidates so our clients don't have to, and we present only the best candidates. We build relationships with both clients and candidates, and we can work on a commission or retainer basis, depending on your needs. We're not "sourcers" that simply scroll the Internet, and we never make false promises—to you, or to potential candidates. We don't push resumes on you, and we're not a large, impersonal recruiting chain. Our principal actively works alongside the team to deliver real results from a dedicated, professional team. You can count on our staff to listen to our candidates and ask key questions that are only reflected by years of experience. We focus on the needs of your job and ask you significant, targeted questions to help us choose the perfect candidate to meet your business needs. This approach to staying engaged builds trust with both candidates and the businesses we work with. Turn to Kingery & Associates, and let us become a part of your team, working to maximize your success. We act as a key liaison between client and candidate, sharing both sides of the issues as a neutral party to create a solid match. We continue to maintain these relationships over the year, which allows us to pull from our own database of professionals. 99% of our time is spent recruiting, no wasting time on administrative or corporate tasks, and while we do use LinkedIn, job boards, and social media, this is not our sole focus. We're looking for results-driven candidates that have increased revenue, exceeded expectations, or affected best practices to create higher efficiencies or revenue. Our candidates are game changers and think out of the box, and we look for personality traits that lead to success and creativity. We also work to ensure that we choose candidates who will be the best match both for the job and for the company's culture. This ensures longer-term employment. Each candidate should have the key skills required for success on the job.